This sagittally sectioned model reveals internal muscles. Both the longitudinal and circular muscle layers are shown in this unique, life-size model. 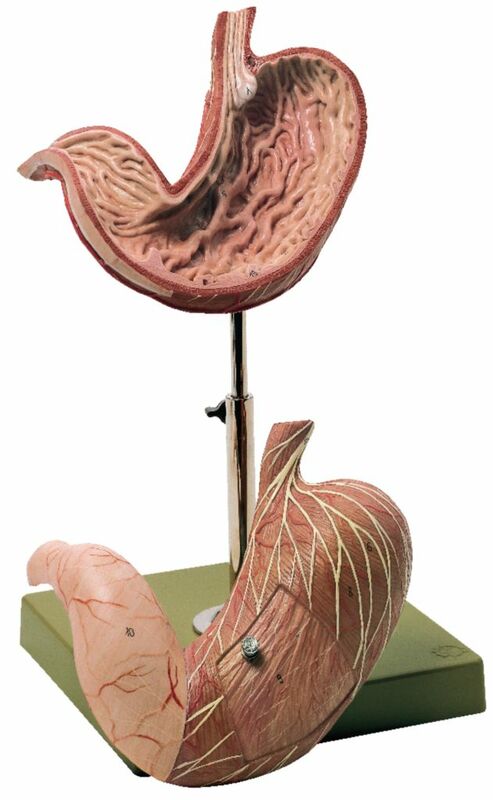 The model separates into two parts to show the cardiac and pyloric sections as well as the relief of the mucous membrane, the gastric canal, arteries, nerves, and the position of the peritoneum.